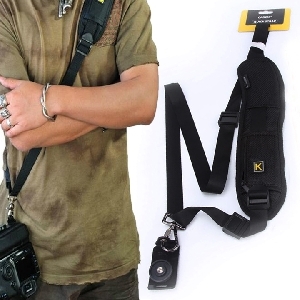 Badu.bg не носи отговорност при покупка на High Quality Quick Rapid Camera Single Shoulder Black Sling Belt Strap For SLR DSLR Camera от Камери, Фотография и Видео извън формата за поръчка. 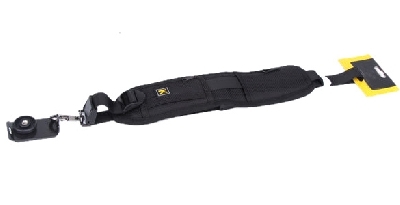 This strap is light weighted designed. You will feel comfortable even after hours continuous shooting. 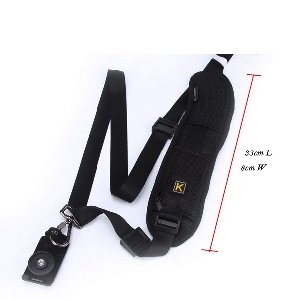 The length of this strap is adjustable. The adjustment located in the front for fast access. 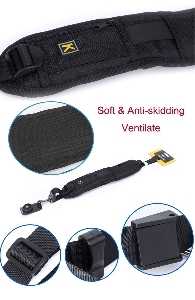 The metal hook and mount plate with very good quality and durable. And there have got a zippered pocket in the shoulder pad. 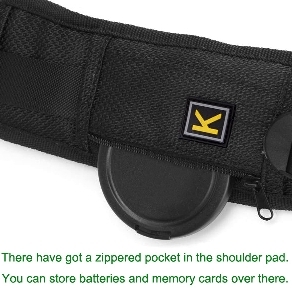 You can store batteries and memory cards over there.